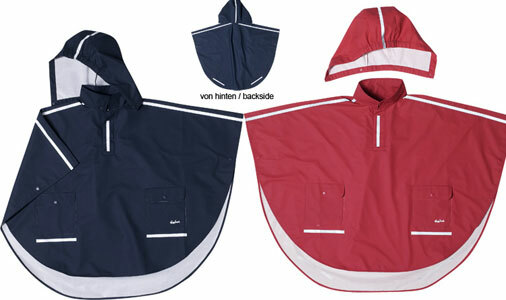 Designed with long backs so that they can be worn over a back pack, these waterproof ponchos are ideal for the walk to school. They are made from the lovely soft eco-friendly PU fabric, so popular in Scandinavia and they have reflective strips for safety. Unlike PVC as well as being strong, very waterproof, machine washable and comfortable, the fabric contains no phthalate chemicals which can be harmful to health. 100% PU fabric, 100% wind and waterproof material and breathable.